Thank you to the Augusta Fire Department for visiting our Learning Center yesterday! The children learned to not touch a hot stove, to stay low in a fire, to find a window, to never hide under the bed or in a closet, and more! 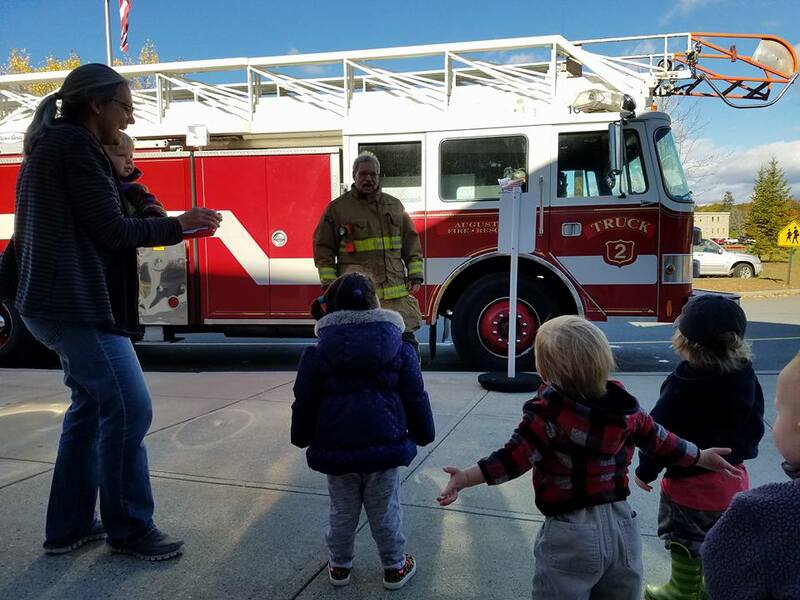 Then we went outside and each child had a chance to sit in the driver’s seat, to see the inside of an ambulance and to see what was stored in the sides of a fire truck.The smiles were huge.